Certainly the geo-engineering programs that are in operation for weather control and/or population control have grown from “the elephant in the room” that was too big to ignore, to a Global Godzilla monster that is known and recognized by an overwhelming number of the world’s population. Above and beyond geo-engineering is the military pollution factor which is explored in the article below. Even if we stop the geo-engineering programs immediately, we still are facing the fact that the military/defense department/corporate contractors are exempt from treaties, laws and any kind of environmental enforcement that may preclude their operations. Environmentalists are ignoring the elephant in the room … the world’s largest polluter. The US Department of Defence is one of the world’s worst polluters. Its footprint dwarfs that of any corporation: 4,127 installations spread across 19 million acres of American soil. Maureen Sullivan, who heads the Pentagon’s environmental programmes, says her office contends with 39,000 contaminated sites. Camp Lejeune is one of the Department’s 141 Superfund sites, which qualify for special clean up grants from the federal government. That’s about 10% of all of America’s Superfund sites, easily more than any other polluter. If the definition is broadened beyond Pentagon installations, about 900 of the 1200 or so Superfund sites in America are abandoned military facilities or sites that otherwise support military needs. “Almost every military site in this country is seriously contaminated,” said John D Dingell, a soon-to-retire Michigan congressman, who served in the Second World War. The U.S. military is the third-largest polluter of U.S. waterways. The U.S. military is the single largest consumer of fuel in the world. We use a highly-polluting form of nuclear power so the U.S. military can make bombs. U.S. military considerations also drive nuclear policy in Japan (that didn’t turn out very well) and other countries. The government has been covering up nuclear accidents for more than 50 years. Above-ground nuclear tests – which caused numerous cancers to the “downwinders” – were covered up by the American government for decades. See this, this, this, this, this and this. At least 33,480 U.S. nuclear weapons workers who have received compensation for health damage are now dead. And the country’s main storage site for nuclear waste from military production may be in real trouble. The Pentagon is also one of the largest greenhouse gas emitters in the world … and yet has a blanket exemption from all greenhouse gas treaties. Sealife is not exempt. Military sonar kills whales and dolphins. And the military has long been a flagrant user of chemical weapons and depleted uranium … which can trash ecosystems and human health. Defoliant spray run, part of Operation Ranch Hand, during the Vietnam War by UC-123B Provider aircraft. The environment has long been a silent casualty of war and armed conflict. From the contamination of land and the destruction of forests to the plunder of natural resources and the collapse of management systems, the environmental consequences of war are often widespread and devastating. An estimated 35 percent of southern Vietnam’s inland hardwood forest was sprayed [by the U.S. military with Agent Orange defoliant] at least once. Some areas-those bordering roads and rivers, around military bases, and along the forested transport route known as the Ho Chi Minh Trail-were hit up to half a dozen times. With each spraying some portion of the trees failed to recover. Estimates ranged from about 10 percent in some forests sprayed only once to 80 percent or even more in those sprayed repeatedly. Denuded areas sometimes became desert-like, with blowing sand dunes. About 14 percent of southern Vietnam’s teeming hardwood forests were destroyed …. Vietnam’s coastal mangrove forests fared even worse: by a quirk of physiology, a single spraying could wipe out almost the entire plant community. Mangroves can live where other species cannot, at the brackish interface of land and sea, because their roots filter the salt out of seawater so that fresh water is drawn up into the plant’s leaves. The defoliants interfered with this filtering mechanism and allowed lethal doses of salt to accumulate in the plants. Worse, the vegetation seemed utterly unable to regenerate, leaving bare mudflats even years after spraying. A mid-1980s study by Vietnamese ecologists documented just 24 species of birds and 5 species of mammals present in sprayed forests and converted areas, compared to 145-170 bird species and 30-55 kinds of mammals in intact forest. Childhood cancer rates are the highest in the country. The city’s salty tap water makes people ill. And there is more garbage on the streets than municipal collectors can make a dent in”. Lutz says the images of 630 burning oil wells, torched by the retreating Iraqi army in Kuwait in 1991, advertised the inherent ‘ecocide’ of war. But this type of destruction is “the tip of the iceberg”, she says. “War is bad for wildlife in as many ways as for people. In Afghanistan too, wildlife and habitats have disappeared. The past 30 years of war has stripped the country of its trees, including precious native pistachio woodlands. The Costs of War Project says illegal logging by US-backed warlords and wood harvesting by refugees caused more than one-third of Afghanistan’s forests to vanish between 1990 and 2007. Drought, desertification and species loss have resulted. 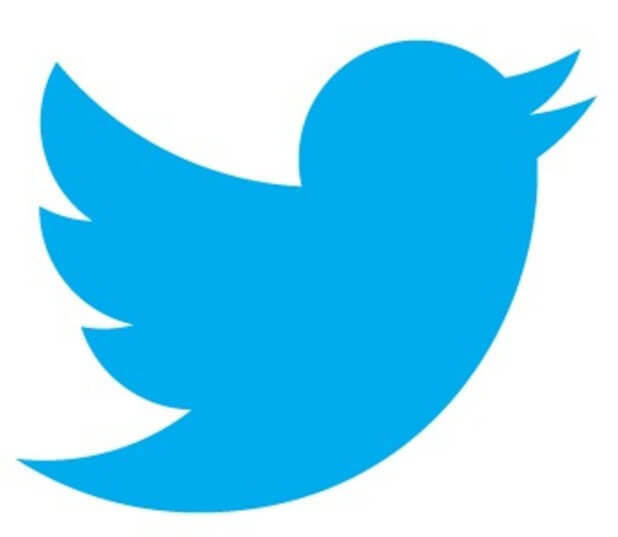 The number of migratory birds passing through Afghanistan has fallen by 85%. Syria and Yemen‘s environments have also been trashed by U.S.-backed wars. So environmentalists who stay silent about imperial wars of adventure are totally ineffective. No matter what we’re led to believe, the world’s worst polluter is not your cousin who refuses to recycle or that co-worker who drives a gas guzzler or the guy down the block who simply will not try CFL bulbs. “The U.S. Department of Defense is the largest polluter in the world, producing more hazardous waste than the five largest U.S. chemical companies combined,” explains Lucinda Marshall, founder of the Feminist Peace Network. 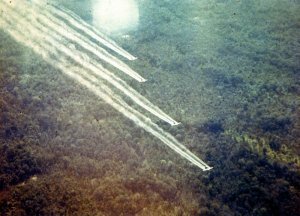 Pesticides, defoliants like Agent Orange, solvents, petroleum, lead, mercury, and depleted uranium are among the many deadly substances used by the military. The U.S. military and its fellow polluters—trans-national corporations—treat the planet like it’s a porta-potty…with little or no opposition from the general population. In fact, the military typically enjoys unconditional support even from those who identify as “anti-war.”Keep this in mind the next time you hear the phrase “war on terror”: Our tax dollars are subsidizing a global eco-terror campaign and all the recycled toilet paper in the world ain’t gonna change that. The US military is responsible for the most egregious and widespread pollution of the planet, yet this information and accompanying documentation goes almost entirely unreported. In spite of the evidence, the environmental impact of the US military goes largely unaddressed by environmental organizations …. This impact includes uninhibited use of fossil fuels, massive creation of greenhouse gases, and extensive release of radioactive and chemical contaminants into the air, water, and soil. Throughout the long history of military preparations, actions, and wars, the US military has not been held responsible for the effects of its activities upon environments, peoples, or animals. Between 1946 and 1958, the US dropped more than sixty nuclear weapons on the people of the Marshall Islands. The Chamoru people of Guam, being so close and downwind, still experience an alarmingly high rate of related cancer. Meanwhile, as if the US military has not contaminated enough of the world already, a new five-year strategic plan by the US Navy outlines the militarization of the Arctic to defend national security, potential undersea riches, and other maritime interests, anticipating the frozen Arctic Ocean to be open waters by the year 2030. It comes down to recognizing the connections, recognizing how we are manipulated into supporting wars and how those wars are killing our ecosystem. Postscript: War is also bad for the economy. TLB published this original article by George Washington from ZeroHedge with our thanks.